March 12, 2015 by Ecommerce News. About Cross-border, Marketplaces with tags Europe. 3727 views. Amazon’s latest returns policy for international sellers requires them to have a domestic returns address in the country of the buyer. Otherwise retailers should pay for the return shipping on all returns. For some retailers this new policy creates major issues. Issues B2C Europe claims to solve with their ReturnYourParcel solution. Last month it became clear Amazon.com has changed its return policy for international sellers who trade on its platforms. For Europe, these are in the United Kingdom, Germany, France, Italy and Spain. Starting March 2, merchants need to have a local address in every country they are selling, otherwise they need to pay the returns costs themselves. The announcement was done in the short-term, so it could have led to problems for some retailers. How do you arrange local return addresses so quickly and, if you’re really selling internationally, in so many countries? Cross-border distribution company B2C Europe claims to have the solution for this problem. It offers both a domestic address and a return solution using their software service, ReturnYourParcel. 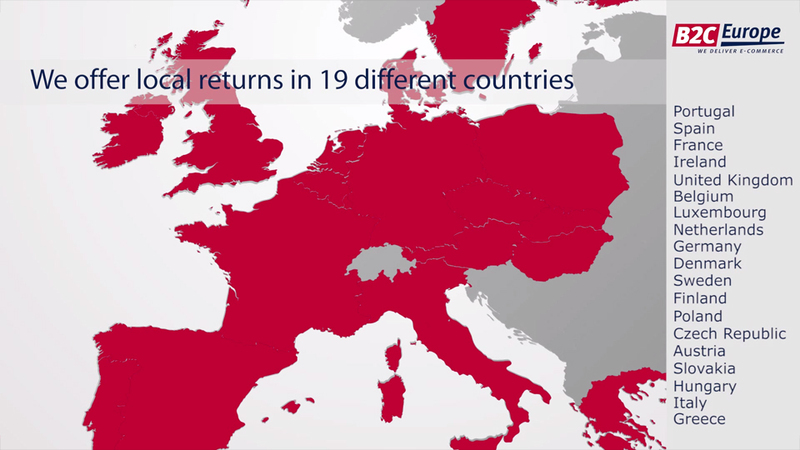 It even claims to be the only company that’s currently able to offer return services via local post offices or convenience stores in 19 European countries.